Janice Levine is Founder and Executive Director of Partners For ACCESS, a non-profit organization dedicated to supporting a medical clinic and growing a sustainable community in the Nakaseke district of Uganda. The African Community Center for Social Sustainability (ACCESS) is a community-based organization that is dedicated to working with vulnerable groups in resource limited settings through medical care, education and economic empowerment. ACCESS cares for and supports people living with HIV-AIDS (PLWAs) together with orphans and other vulnerable children (OVC). The base of operations is the ACCESS medical center (Nakaseke Lifecare Center), which provides care for over 120 PLWAs through strategic alliances with centers providing antiretroviral drugs for the management of HIV. ACCESS gets over 12,000 patient visits per year from all over the district for management of both communicable and non-communicable diseases. 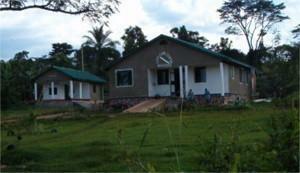 The medical center has a doctor, clinical officers, nurses, a lab/equipment technician and health visitors. A mobile team consisting of a Doctor/or Clinical Officer, Nurse, Counselor or a Health visitor, conduct routine visits to provide medical care and support to its beneficiaries. They work hand in hand with the community volunteer network. The creation of PFA was inspired in October, 2009, after Dr. Levine attended “Connecting for Change” (C4C) as part of the Vancouver Peace Summit sponsored by the Dalai Lama Center for Peace and Education*. At C4C she met Robert Kalyesubula, MD, a Ugandan Doctor who was completing a Nephrology Fellowship at Yale Medical School, and learned about his efforts to develop a community based medical center that offered treatment to people living with HIV-AIDS, orphans, and vulnerable individuals in the Nakaseke District where he grew up. An orphan himself, Dr. Kalyesubula devoted his life to giving back to the community that supported him, and was eager to connect with others who could help him find ways to develop their resources. Dr. Levine was so impressed with the inspiring work that Dr. Kalyesubula (known to his friends as “Dr. Robert”) had done to grow his community and enhance the lives of children and adults alike, that she decided to work with Dr. Robert to help grow the ACCESS program. When she returned to Boston, she convened a Board of professional physicians, health care workers, attorneys and students to help procure and send medical supplies to Nakaseke, and provide a range of resources needed to develop a fully sustainable community center. Partners For ACCESS would be grateful for donations in any amount. Please send your tax-deductible contributions to: FJC, 520 Eighth Ave., 20th Floor, New York, NY 10018, and write Partners For ACCESS in the memo line, or donate directly through PayPal, below.